5 Jeffrey Lane Yankeetown, FL. | MLS# T3136161 | Vogel Realty Services, Inc. | Expert Broker & Realtors Connecting Buyers & Sellers FAST | Central Florida Serving Plant City, Lakeland, Brandon, Valrico, & Tampa Florida. Follow that DREAM! Just like Elvis! This beautiful home is located just minutes away from the Withlacoochee River where the movie “Follow that Dream“ was filmed. 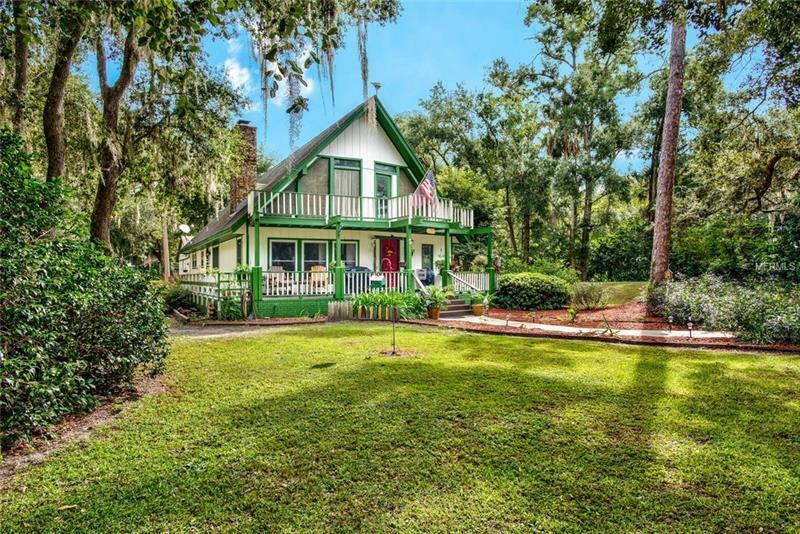 You will be amazed with the classic beauty of this 4 bedroom 2 bath 2450 SF home in Yankeetown! As you walk through the front door you will be welcomed with the open living room with High ceilings. The Fireplace is warm and inviting! The sunny Kitchen has a work island to make meal prep a breeze! This home is so much to offer! Including the upstairs loft that is a Master suite with a adjoining room that could be used as a nursery, craft room, or office! Enjoy a cup of joe in the morning on your balcony and watch the sunrise! It doesn’t stop there! Enjoy peace and quiet in the .59-acre yard. This corner lot has a lot to offer! Fruit trees and beautiful scenery all around! Get lost in the beauty and enjoy a serenity!